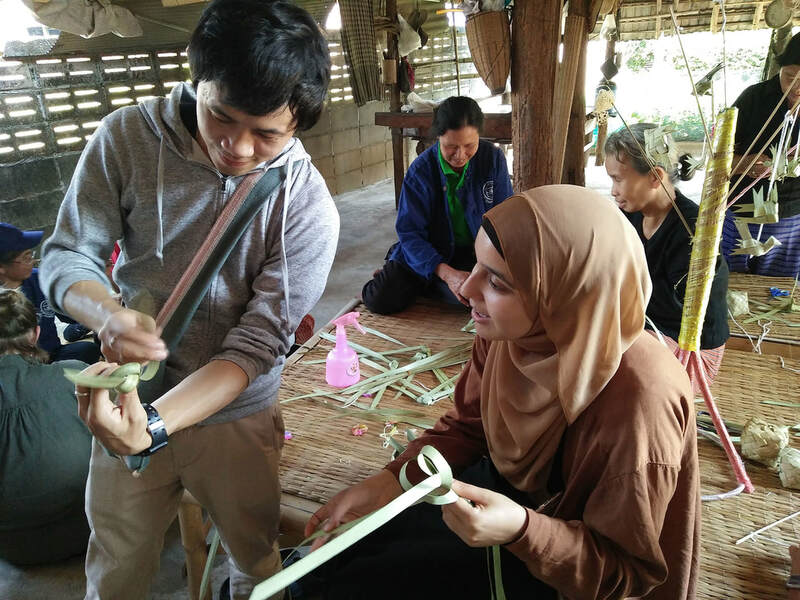 The Design for Social Change Study Tour (Thailand) is an immersive educational program providing students with first-hand knowledge of Human-Centred Design (HCD) processes in an emerging economy and Asian context. Human-Centred Design is an approach to problem-solving and design that “starts with the people you’re designing for and ends with new solutions that are tailor-made to suit their needs” (IDEO). 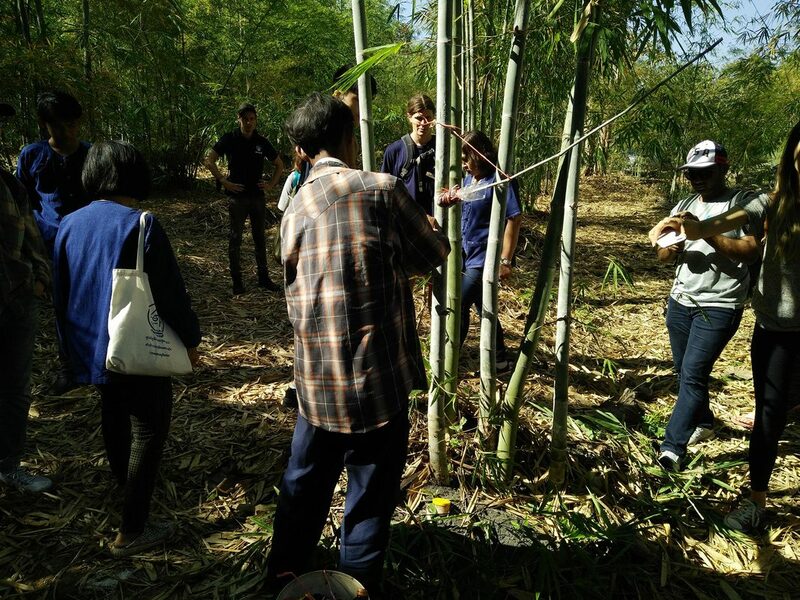 Learn from local experts how these principles are applied in the Thai context. 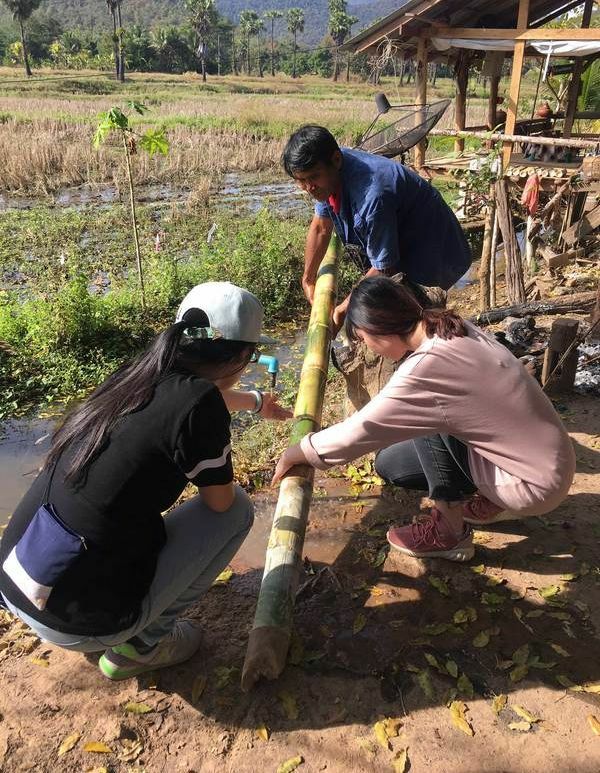 You'll have the opportunity to develop and enhance existing community projects, or create new ones while ensuring that local communities are at the heart of each project. 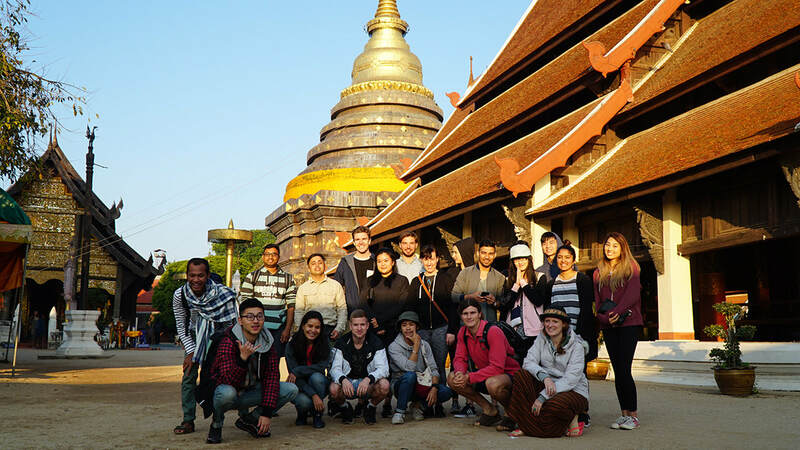 Partner with a team of other Australian students, local 'design for development' experts, and communities to develop projects with a Thai focus. We use rolling applications and reviews and applications will close when programs are full, so early submissions are encouraged. Note that universities have internal deadlines for funding programs like OS-HELP, so apply early. Travel insurance - Student's travel insurance may be covered by their university's travel insurance policy. Get in contact with your Student Mobility Office to find out. Sawasdee! Welcome to Thailand. We’ll greet you at the airport and head to town to check in at the hotel in central Bangkok. 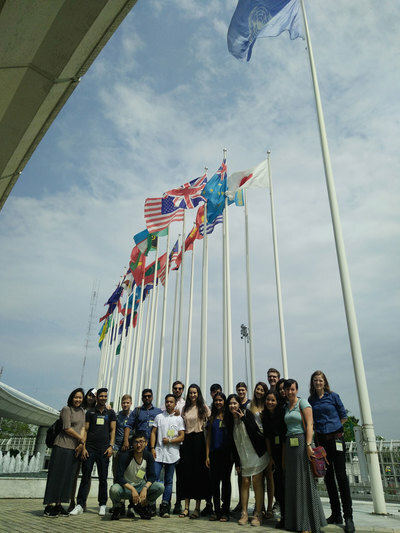 Meet your fellow program participants at a special welcome group dinner in the beautiful heart of Bangkok. 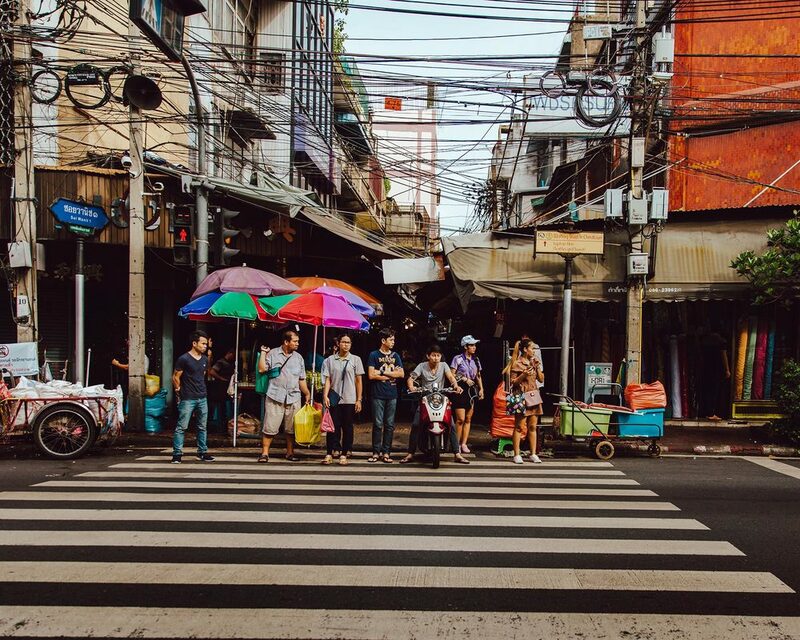 This is your first introduction to your new best friends for the next two weeks, and a chance to enjoy delicious Thai food, and the hustle and bustle of vibrant, multicultural Bangkok. 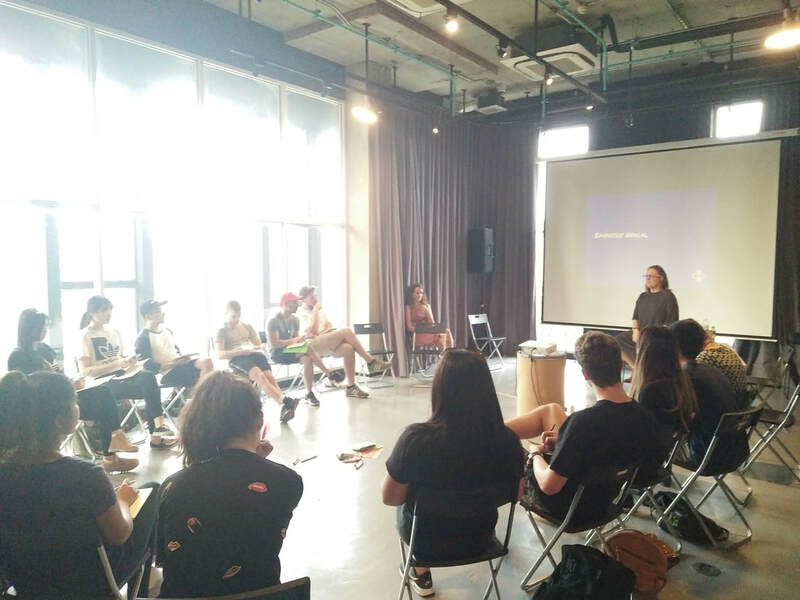 Kick off the program with introductory workshops on Thai culture and language, as well as an overview of the Human-Centred Design approach. We will start discussing your HCD Action Project that you will work on over the coming weeks. In the afternoon, explore the city's cultural highlights on the famous tuk tuk; a preferred mode of transport in Bangkok. 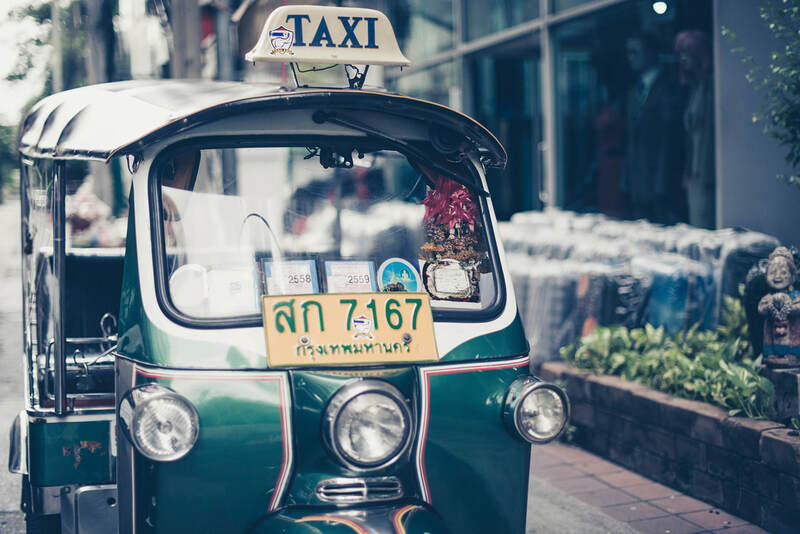 Check out temples, famous areas such as Khao San Road, and finish the tour with a trip across the river and a riverside market. We'll have dinner at the market, do some shopping and exploring, and enjoy Bangkok in the evening before heading back to the hotel. 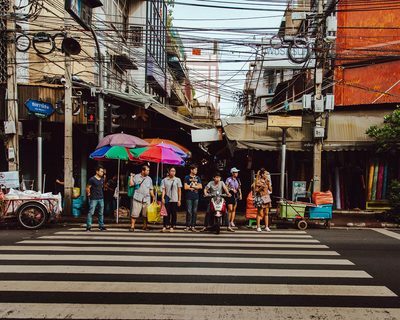 Experience a different side of Thailand in the morning with a visit to one of Bangkok’s least-developed areas, the Klong Toey slum. 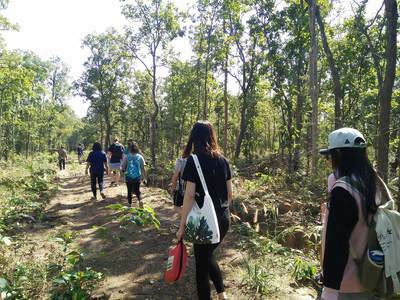 Learn about the Duang Prateep Foundation and their community development projects designed to improve life in the slum. This will be followed by an awesome afternoon of interactive learning and workshops provides a real chance to dive into creative, collaborative and user-focused design. You’ll start developing your Action Project in collaboration with a small group and with inspiration from this high-energy and interactive day of training. 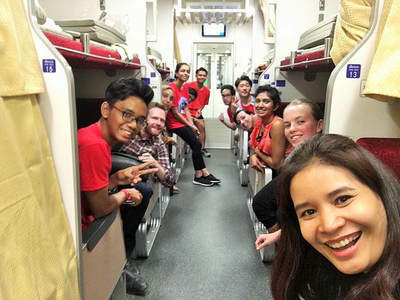 Tonight we jump on an overnight sleeper train and head for beautiful Northern Thailand. After the train trip, an experience in itself, we will travel through rural areas, learning about agriculture and the way of life for people who live rurally; half of Thailand’s population. We arrive at beautiful peaceful Pha Pang community, near Lampang and Chiang Mai. After meeting our hosts and local people, and getting to know our village home, we will join our host family and help with afternoon activities. 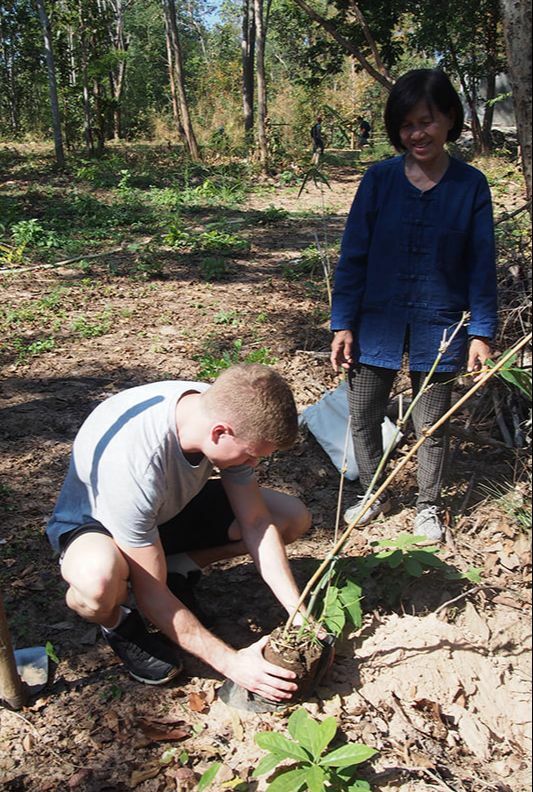 This may include feeding animals, caring for market gardens, or helping to prepare dinner and becoming expert Thai chefs. 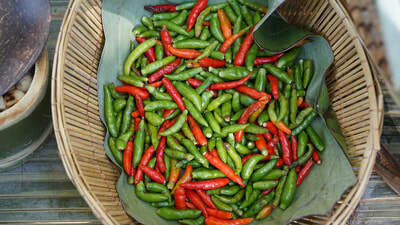 Home-cooked food is guaranteed to be a highlight, along with taking in the peace and serenity of rural Thailand. Overnight in local accommodation with music and chats to entertain the group. 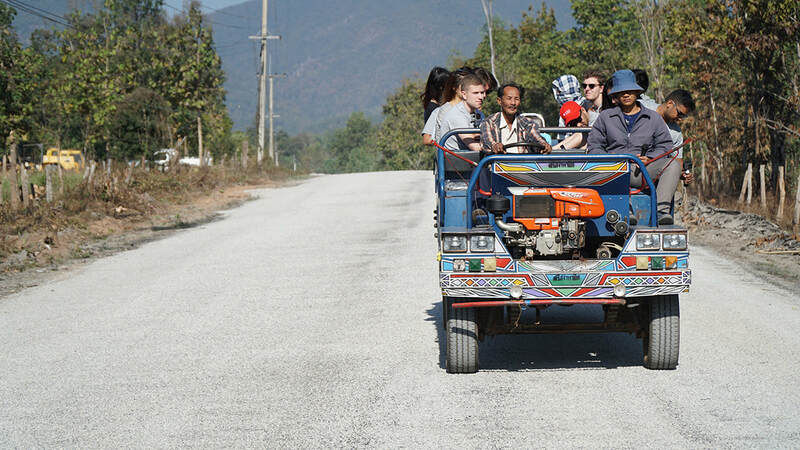 With local villagers we go in small groups to visit the areas of the village that are relevant to our projects. Some will visit the small healthcare centre and chat to the healthcare worker about the challenges of rural medicine in Thailand. One group will visit the school to learn about education, one group will visit the community tourism projects, and one group will visit local enterprise centres. We'll meet together for lunch in a village home to share notes and chat with the community about their lives. We'll also join cultural activities such as making an offering to the local temple - make sure you know your Chinese zodiac. In the afternoon we'll join the elderly group for some exercise you'll never forget. Tonight we will work on the Action Projects and share laughs as we lighten up with a hilarious talent show with our new friends. Today is our last chance to hold any community consultations and engage with local people to involve them in your project design. We spend the day at a local farm learning about rice growing. 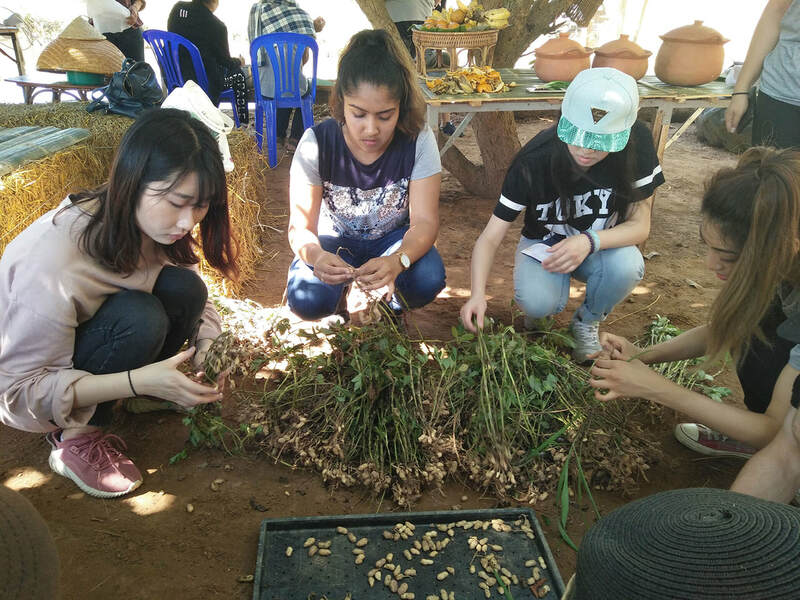 You will pick our lunch from the local organic garden, mill some rice, and join a cooking class so you can wow your friends and family at home with your Thai cooking skills. 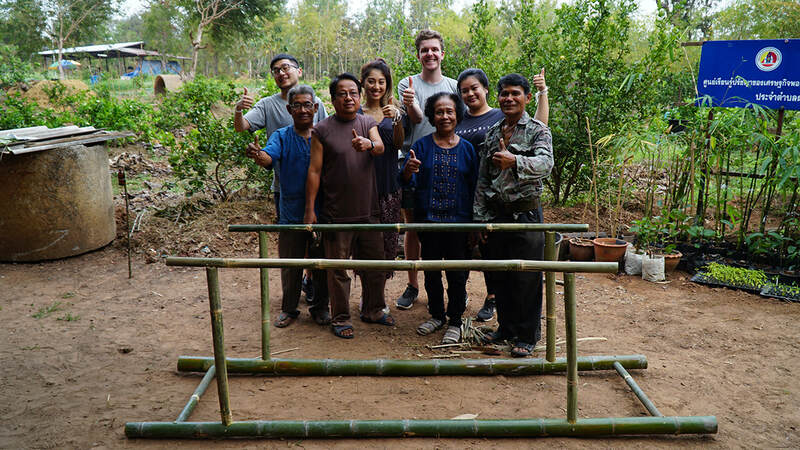 We'll work on our projects and create some bamboo innovations with the tools at the farm, and with the support of local handymen. Tonight we join a local festival and release our dreams with a handmade lantern. 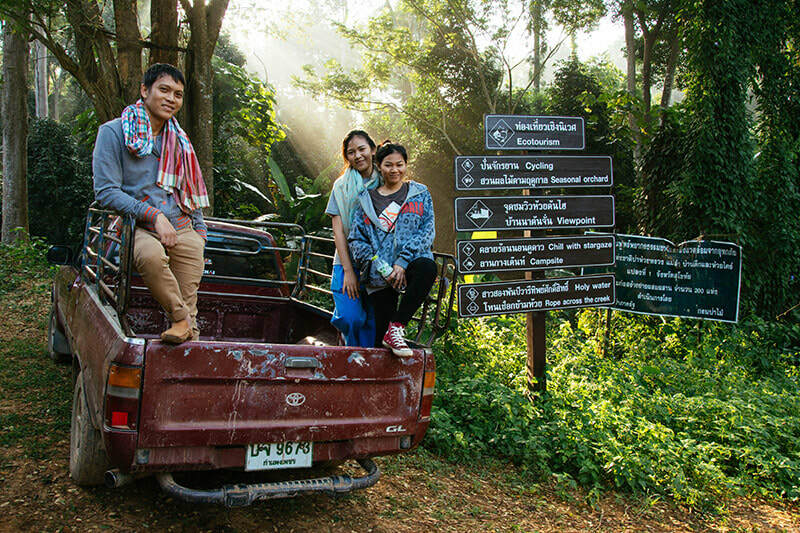 You'll never want to leave Pha Pang and your Thai family, but unfortunately that time has come. Say goodbye to our wonderful hosts, and we head to famous Chiang Mai, a city of old and new combined. 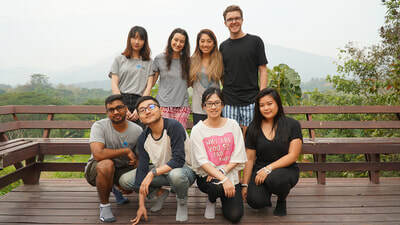 This afternoon we'll do a tour of Chiang Mai before jumping into our teams to gather any information or resources we need to take our projects further. Tonight is the wonderful night street market of Chiang Mai, full of street food, souvenirs, and local designer products. You'll have free time to explore the market. 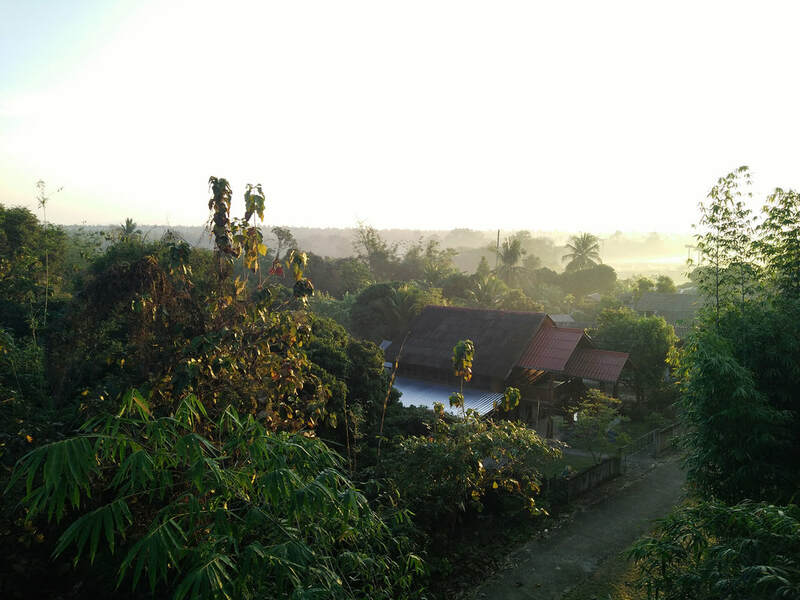 Overnight in central Chiang Mai. 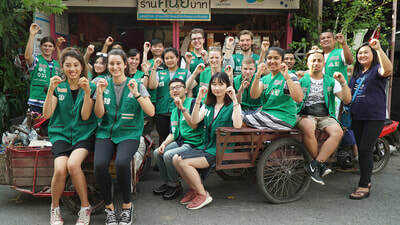 This morning we explore Chiang Mai by tram, before visiting a social enterprise to have an inspiring discussion with a young founder. At Aka Ama Coffee you'll have time to work in your groups on your projects and of course to have a delicious coffee fix! Tonight we say goodbye to quiet, rural life and return to Bangkok by overnight train. 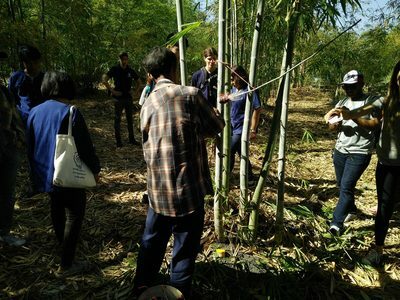 Today we learn about some of Thailand's innovative solutions to local and global challenges. 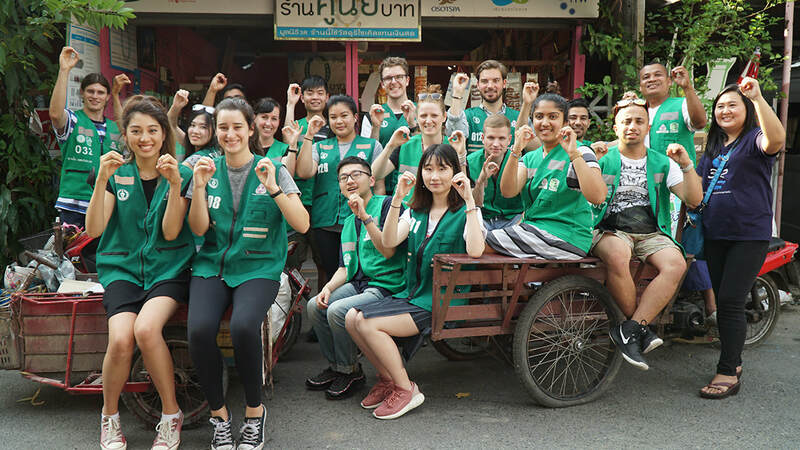 We'll visit the Zero Baht Shop where recycling is their currency. Try your hand as a recycle picker, and visit their organic garden. Social enterprise visits will give you ideas about the different business models and ways of structuring your project idea. This afternoon finalise your projects with your group, and have some free time in Bangkok. 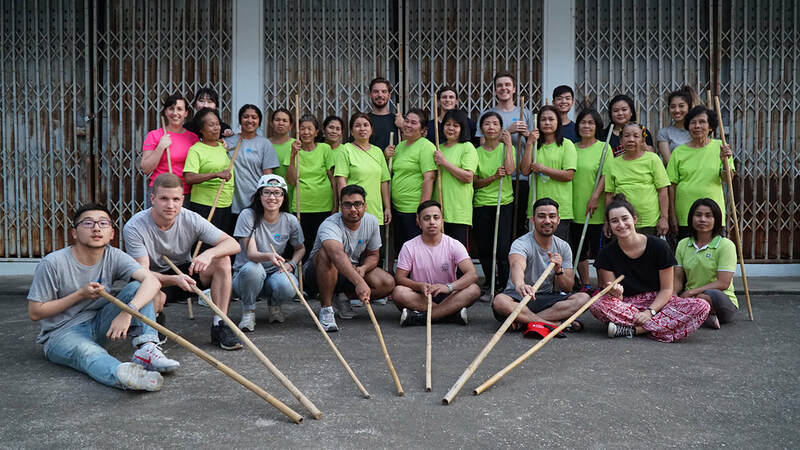 Today we visit one final social enterprise, the Bangkok Kayak Club. We'll kayak through Bangkok's waterways learning about life on canals and waterway conservation. This afternoon you'll have time to work with your project team, and a delicious streetfood dinner. After two weeks of working on your Action Project, it’s time to show us what you’ve come up with! We will head to UNDP and showcase all of our projects to the Innovation section, and learn about their youth and development projects. Tonight we have a graduation ceremony, followed by a special rooftop dinner and celebration on top of Bangkok's central river. You are welcome to depart at any time. A farewell breakfast is the last formal activity, and the day is a chance for any last-minute shopping. Lots of goodbye hugs. Transfer to the airport to head back to Australia or any onward travels.
! NOTE: Program is subject to change depending on local community availability, national events and weather conditions. 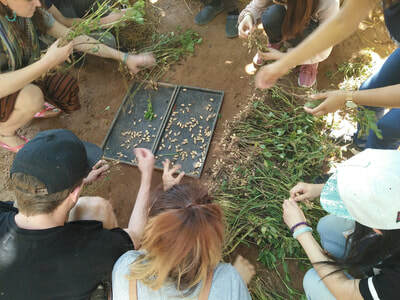 Depending on the group size, the program may split to visit different communities to ensure small teams and a personal experience. 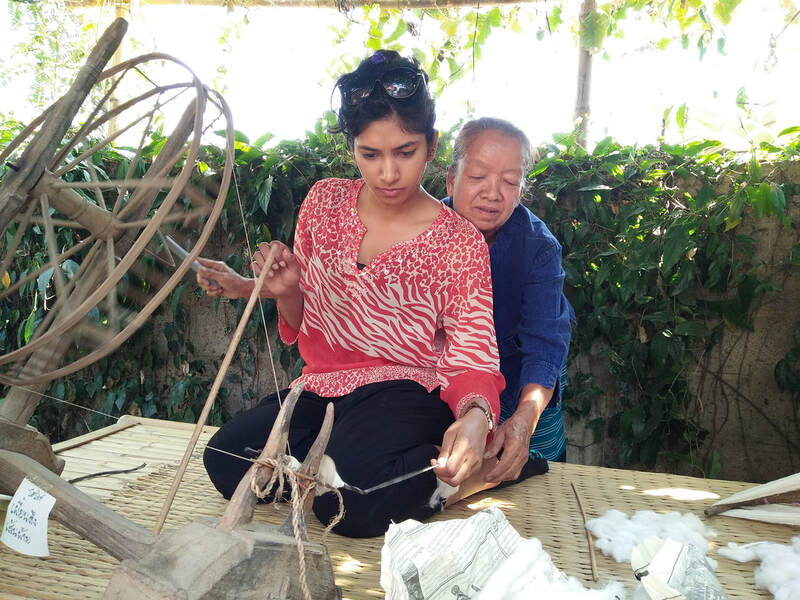 "I learnt so much in such a short period of time...I learnt that being apart of the change in the world is much more important than letting anxiety get the best of me." 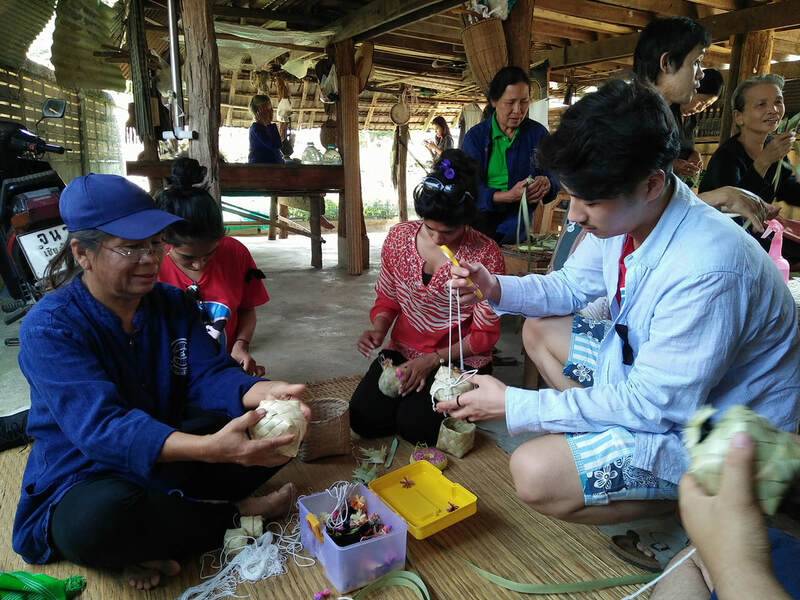 Local Alike promotes community based tourism for the preservation of local culture of native people while providing economic opportunities that create livelihoods. Community based tourism is a form of tourism that allows local residents to be involved while emphasising community development. Local Alike invests in communities through a range of ways. 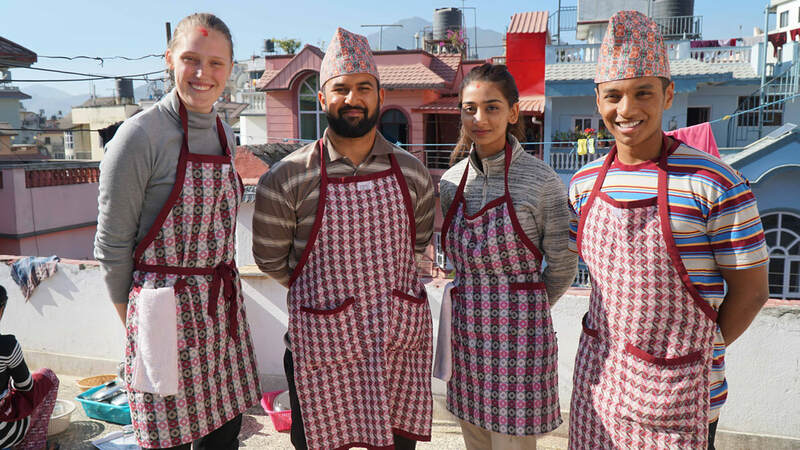 They provide guidance to communities about hosting travellers for extra income, and to showcase their unique strengths. They also contribute through a community-development fund. This fund supports communities to develop their tourism, infrastructure, and other projects to support them to have stable livelihoods. Youth in these remote communities are also engaged to become leaders in developing community capacity to operate sustainable tourism programs.